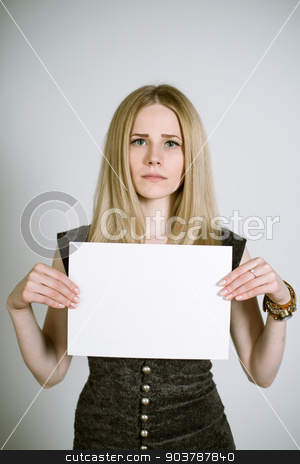 Portrait of a real young blonde woman on a light background in a black dress with a blank paper in her hands. Shallow depth of field. Focus on the eyelashes.